Sights of Seville | The old city through new eyes. I held my breath as I weaved my way through the densely packed Calle Betis bar in Seville. I was late to the flamenco show, but I had just spied an empty space on the floor in front of the stage. 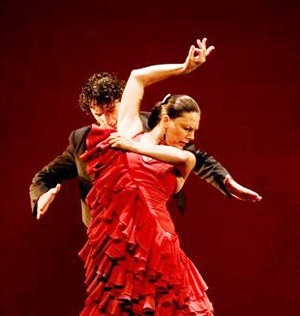 I made my way up to the front and nestled into my spot, eager to see flamenco dancing. I knew that no amount of YouTube video clips could compare to an actual real-live show and, from what I’ve heard, the Andalucian style of flamenco was not one to be forgotten. The bar was buzzing with people; eating tapas, drinking, chatting with friends. The waiters continually had to re-make pathways between tables as they passed through the restaurant. 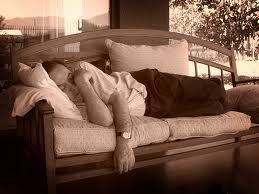 I sat at the front of the stage and let the sounds of the humming crowd flow over me. Soon, the guitarist, singer and dancers all approached the stage and the buzzing died down. A soft, flowing, haunting ballad began on the guitar and the last rumbles of the crowd grew quiet. There was a breath of silence and then the singer began belting a song, feeling every note and every word throughout his body, his face twisting with expression. After a few moments, a flamenco dancer came out in the middle of the small stage. Her movements were strong, slow and somber, her back arched as she captivated the audience. An intense emotion stung her like an electric shock and she flung her arms above her head, where they twirled slowly and gracefully for a few moments. It was as though she was dancing in molasses- each movement deliberate and driven with intensity. The guitar started playing a louder, faster beat and the singer cried even louder. Her fellow performers started clapping and stomping (their feet and hands keeping two different rhythms) to the raucous beat as her movements grew quicker and more gracefully wild. I’ve been dancing for 18 years and I have never heard something quite like the flamenco beat before. There is a passion and emotion throughout that is not seen in other dance forms. The culture of flamenco dancing goes far deeper than its sometimes stereotyped image…it’s actually quite fascinating and mysterious. 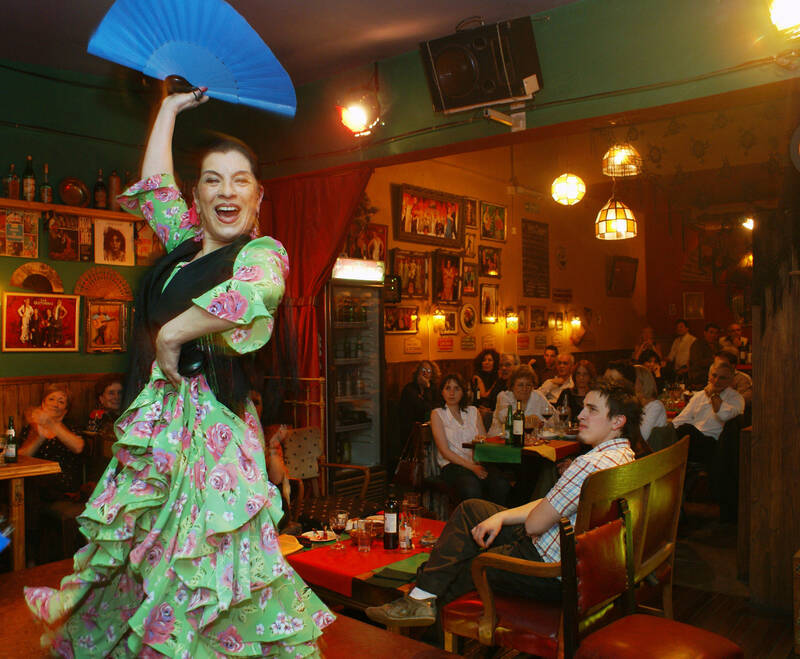 Flamenco is comprised of four elements: cante (voice), baile (dance), toque (guitar) and jaleo, which more or less translates to “hell raising.” This last element, with its passionate freedom, includes clapping, stomping and shouting from the crowd and fellow performers. The palmas, or handclapping, is made up of intricate rhythms accompanied by an equally intricate set of stomping and footwork. I’m no stranger to musical beats and rhythms, but after a few minutes of trying to figure out the flamenco beat during the performance, I gave up, worried that my head might explode if I tried any longer. This may be a simple quote, but it expresses the weight and significance of bullfighting to one of Spain’s top matadors, Jose Tomas. In a tradition where one wrong step can lead to a deadly consequence, Tomas lives for the moments when he is dancing with death. 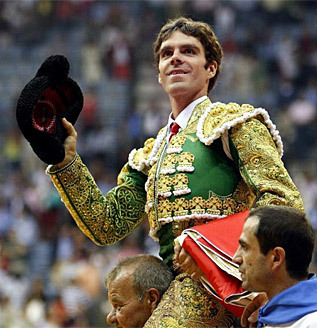 He is known for his daring bullfighting style, in which he draws the bull dangerously close to his body with his cape. Although the bullfighting tradition is surrounded by controversy and has recently been banned in the region of Catalonia, one thing can be agreed upon: The passion and the dedication the matadors have for this ancient art. This past July marked Tomas’s return to the bullring after being nearly fatally gored in Mexico one year ago. Despite his near-death experience and months long recovery, Tomas knew he would return. The line he walks during a bullfight, between life and death, causes him to feel more “alive” than at any other moment. For many, bullfighting consists of the matador waving his red cape in front an angry bull…and that’s about it. But the history and tradition behind bullfighting make it much more than its stereotypical image. The spectacle of bullfighting has been in existence since ancient Rome, but the bullfight we know and see today started in the mid-1700s. Before this time, men on horseback were the main focus as well as the ones killing the bulls. But as bullfighting developed, the men on foot, who aided the horsemen by positioning the bulls with their colorful capes, began to attract more attention from the crowds. This began the modern form of bullfighting we see today. A usual corrida consists of three matadors, each of them killing two bulls. The first phase of the bullfight is what many people think of when they think of bullfighting: the bull comes rushing out into the arena and the matador swiftly goes through a series of movements and passes with a large cape. 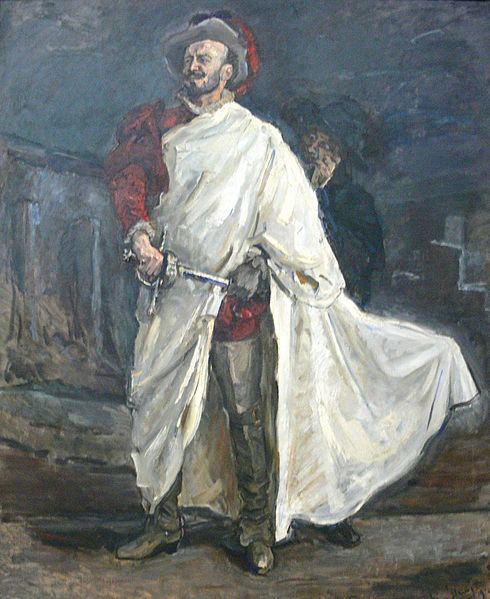 A matador is met with applause depending on how close he is to the bull, his calm manner and the graceful maneuvers he accomplishes with his cape. During the second phase, men on horseback come into the bullring and throw lances, or banderillas, into the back and shoulders of the bull. This is done to lower the bull’s head for the eventual kill. 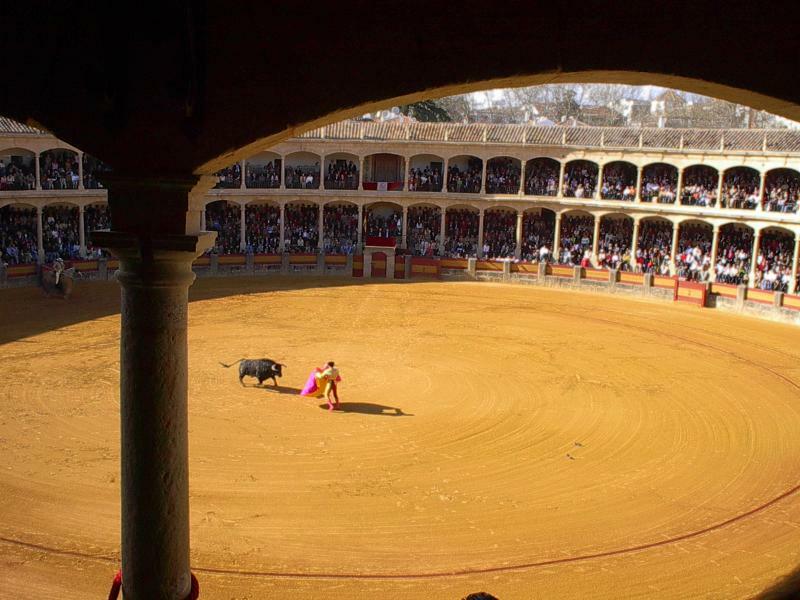 The third phase of the bullfight is usually the most dangerous. The bull has become weaker during the fight, but it also begins to sense that its enemy may be behind the matador’s cape. This causes the bull to become more aggressive as it charges the matador’s cape. 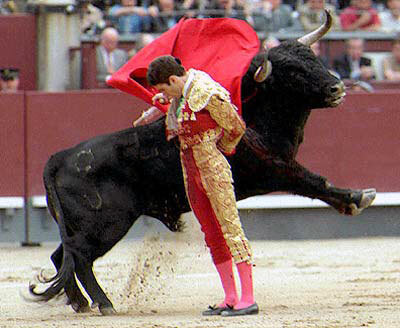 Through a series of ballet-like passes during this final stage, the matador increases tension and anticipation in the audience as he continues to decrease the space between himself and the bull. When the moment is right, the matador strikes the bull between the shoulder blades with his sword and the bullfight is over. Bullfights are characterized by an entrancing, mysterious silence. The matador becomes lost in his art as he dances closer and closer with death. This was originally published on Andalucia Inside. When she was 15-years-old, actress Gwyneth Paltrow stayed a small town near Talavera de la Reina in the region of Castilla La Mancha. She’s been back to Spain every year since. A more recent inspiration for the actress has been Spanish cuisine. Paltrow along with Chef Mario Batali, writer Mark Bittman and Spanish actress Claudia Bassols completed a TV series on Spanish cuisine called “Spain…On The Road Again.” The foursome take off on a road trip throughout the different regions of Spain to experience the country’s culinary traditions and history. Paltrow also helped write “Spain…A Culinary Road Trip,” the companion cookbook to the TV series. Paltrow’s love for Spain and it’s varied gastronomy wasn’t very well known until “Spain…On The Road Again” was broadcast. (She is also fluent in Spanish!) The show’s mouthwatering foods and beautiful scenes are enough to inspire anyone to try the delicious dishes of both new and traditional Spanish cuisine. Hemingway once wrote in a letter that Spain was “the last good country left.” The American writer spent manyyears of his life here and the Spanish influence is evident in his novels. Hemingway first traveled to Spain as a young reporter during the Civil War and the experience inspired his famous novel, For Whom the Bell Tolls. He also had a passion for bullfighting and wrote two nonfiction books on the topic, “The Dangerous Summer” and “Death in the Afternoon.” The fictional matador in “The Sun Also Rises,” was actually named after a real 18th-century torero from Ronda, Spain named Pedro Romero. But the character on one of Hemingway’s contemporaries, another bullfighter from Ronda known as Niño de Palma. 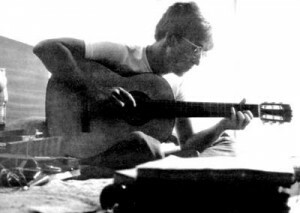 The Beatles hit, “Strawberry Fields Forever” was inspired by John Lennon’s time in Almería, Spain while he was filming the movie “How I Won The War.” During his stay he lived in a small apartment in the beach city of El Zapillo in Almería where he was photographed sitting on a the bed with a guitar and a cassette recorder writing the song. The first demo recording was actually done in Almería, although it was just one verse at the time. No matter what your profession, you always leave Spain with more than what you originally came with. And I’m not talking about souvenirs and pictures. An unidentifiable inspiration, like a spark being lit inside you, stays with you for years after. This post was originally published on Andalucia Inside. Remember those gorgeous Havana beach scenes in the recent James Bond film Die Anther Day? And where Mr. Bond first sees the flawless Halle Berry walking out of the ocean? Well, those famous “Havana” scenes were actually filmed in the equally famous (and beautiful) Cadíz of Southern Spain. The Bond movie didn’t have to go too far to make Cadíz look and feel like Havana, Cuba. The similarities of Havana and Cadíz don’t begin and end with those few scenes. In fact, Cadíz is known as “Little Havana.” And as you walk through Havana, there is a strong sense of Andalucian influence in the architecture, style and overall feel of the city. 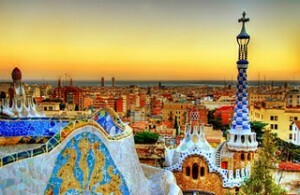 The plazas, the streets and cathedrals all have a hint of Spain, especially the historic cities like Seville and Cadíz. But how did Havana, Cuba end up being a sister city to this quintessential Andalucian town over 4,000 miles away? 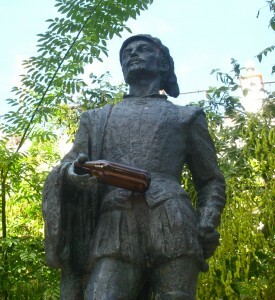 Cadíz was an important link between Europe and The New World, with ships of Christopher Columbus and other explorers sailing from there. There became a continuous flow of traffic between the two cities in the 1700s when the Spanish sailed routes between Cadíz, Havana and Puerto Rico. During this time of Cadíz’s “Golden Century” and the growth of overseas trade, the Spanish style and influence was easily transferred to one of their most valuable ports in Havana. 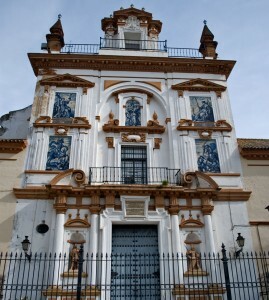 Beyond its influence abroad, the city of Cadíz is said to be the oldest continually inhabited city in Spain. The buzzing, beautiful plazas are an important part of the old town, but the beaches are what really make this city stand out. La playa de la Caleta and street above, which greatly resemble parts of Havana, was used for some of the Cuban scenes in the Bond movie.